Moving into the cooler days of Autumn and pulling on the layers it’s hard to believe that only a few months ago it was too hot to survey. 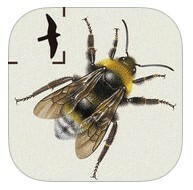 So what’s been going on with our little Shrill Carder Bee over one of the hottest summers on record? The season kicked off in early May with our first queen sighting of the year at Lytes Cary Manor by one of our local volunteers. We thought, with the sun shining and flowers blooming, this was the beginning of a cascade of sightings. Unbeknown to us at the time though, this would be the first and last Shrill carder bee for another month. 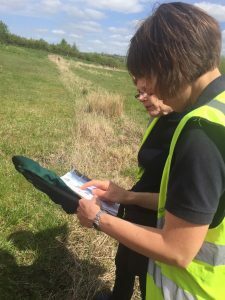 Despite the Shrill carder bees playing hard to get, our inspire a nation activities got off to a flying start in total we have held 3 beginners identification classes, 2 Intermediate level classes, 3 field practice walks, 3 bee blitz and of course there was lots of surveying. One of the highlights of the season for me personally, was our Shrill carder bee blitz on Salisbury Plain. The last record we have of our little bee on the Plain is from a decade ago, we thought we should try and change this. With a bit of planning and thanks to the Ministry of Defence, we spent a total of two days searching with one day focusing on the Eastern side of the plain and the other investigating the West. We were joined by a fantastic group of volunteers for both days and although we had some testing conditions (boiling hot one day, cold and raining the next) it was great fun and really insightful. Unfortunately, despite our efforts our searches were unsuccessful with no Shrill carder bees found. Hope is not lost though, Salisbury Plain is a huge area covering around 300 square miles and as such we are not short of more places to search and hope that this is something we will be able to do again next season. The summer season in the South West was, well, a little disappointing with fewer sightings this year than in previous. On a lighter note however several of the sightings were at new sites proving that the Shrill carder bee could be more widespread than we know. Habitat work also continues to develop with more landowners coming on board for advice and looking to help through simple ways such a changing the timing of their cutting regime to more intensive changes such as the planting of wildflower areas. The Shrill carder bee queens emerged earlier than usual this year in Essex and Kent, with the first sightings in late April coinciding with the first heatwave of the year. Numbers of queens seen picked up throughout May and June, with records from good numbers of sites across the Thames Gateway. I was out with volunteers surveying a couple of our key sites (Canvey Wick and Rainham Marshes) in early June and we found plenty of queens and even some early worker bumblebees zipping busily between the flowers to collect pollen and nectar. The scarce Brown-banded carder bee was great to see as well, but we were particularly excited to find the Red-shanked carder bee at both sites, which is not so well recorded. It was shaping up to be a brilliant year for our rarer bumblebees! Then came July and I lost count of the number of days since it had last rained here in the south-east. I ran a couple of intermediate bumblebee identification workshops and we struggled to find any bumblebees in what should be one of the busiest times of year for them! While the weather was perfect for bees, if a little on the hot side for our fluffy bumblebees, the plants were not having such a good time of it and had either gone over early or where they were still flowering, they weren’t producing much in the way of sugary liquid to energise our pollinators. Happily, while staking out one of the Shrill carder bee’s favourite plants, Black Horehound, one of the team managed to find a teeny little worker that was still going about its business. Phew! 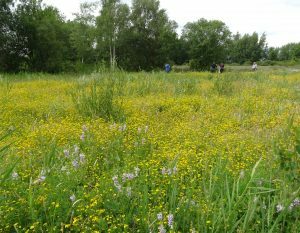 August brought with it some much needed rain and the plants perked up a bit, with some sites awash with bright yellow carpets of Narrow-leaved Bird’s-foot Trefoil and swathes of the purple-blue tones of Lucerne. 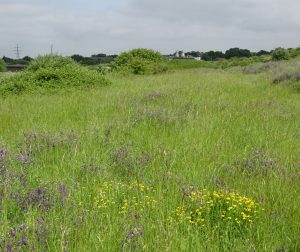 The bumblebees bounced back, with repeat surveys of Canvey Wick and Rainham Marshes providing multiple sightings of workers, males and new queens of Shrill carder bee. 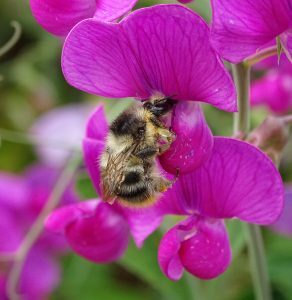 Volunteers have set up bumblebee transects at these sites and others in Essex and Kent to monitor numbers of different types of bumblebee throughout the year, which provides us with really valuable information about how Shrill carder bee and other species are faring. 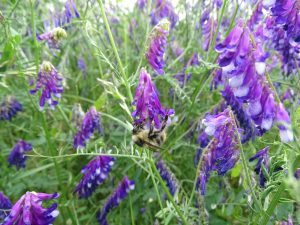 Overall, the season has had its ups and downs and it will be interesting to see if the drought has any knock-on impacts on Shrill carder bee populations next year. 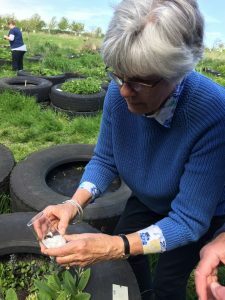 This highlights the importance of working with landowners to provide more and better connected habitat for our threatened bumblebees so that they are more resilient in the face of a changing climate. Work like this alongside preparing for next year are just a couple of things that our project officers will be getting up to this winter, whilst our bumblebees are all safely keeping warm underground.